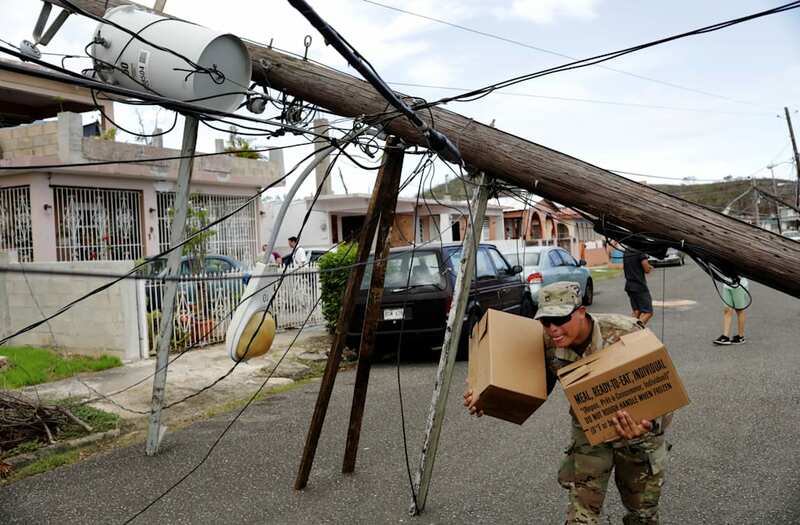 One hundred days after Hurricane Maria touched down on Puerto Rico, power is back on for 55 percent of the island. To José Sánchez, head of the U.S. Army Corps of Engineers task force in Puerto Rico, that number doesn't sound like a success. He told The New York Times, "I want it quicker, faster, better." According to The Associated Press, the Army Corps estimates full power won't be restored until May. The Atlantic says the situation is "the longest and most devastating blackout in American history." SEE MORE: Energy Leader Ricardo Ramos Resigned, So What's Next For Puerto Rico? The office of Puerto Rican Gov. Ricardo Rosselló says the sheer damage from Hurricane Maria slows the restoration process. To help with the issue, the governor said he requested up to 1,500 more restoration workers. The problem isn't entirely with power generation, which is at 70 percent of its pre-hurricane capacity. Some homes are still too damaged to receive that power. Hurricane Maria is shown in the Atlantic Ocean about 85 miles east of Martinique in this September 17, 2017 NASA handout satellite photo. NASA/Handout via REUTERS ATTENTION EDITORS - THIS IMAGE WAS PROVIDED BY A THIRD PARTY.